IN REMEMBRANCE OF THIS MOST HEROIC UNITED STATES ARMY COMBAT MEDIC, A POSTHUMOUS RECIPIENT OF THE SILVER STAR, other awards, ribbon bars and badges. 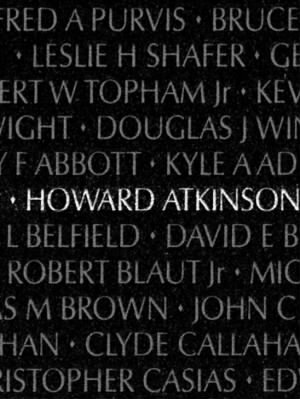 Vietnam Veterans Memorial "The Wall" in Washington, DC - Howard is among lists the names of more than 58,000 Americans who gave their lives in service to their country.
" 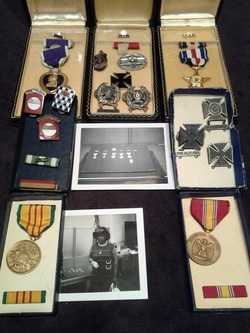 FIRST IN LAST OUT "
Atkinson began a family tradition when he enlisted in the Army in November 1965: three of his four brothers followed his lead by joining the Armed Forces. The 22-year-old specialist four, a medic with Headquarters and Headquarters Company of the 56th Engineer Battalion, 25th Infantry Division, was on his second tour of duty in Vietnam when he died on February 23,1969, in an attack on the Dau Tieng Base Camp. Atkinson saved his sergeant and refused to leave wounded comrades before he lost his own life. Battle of Dau Tieng 2/22/1969 Photo Album. 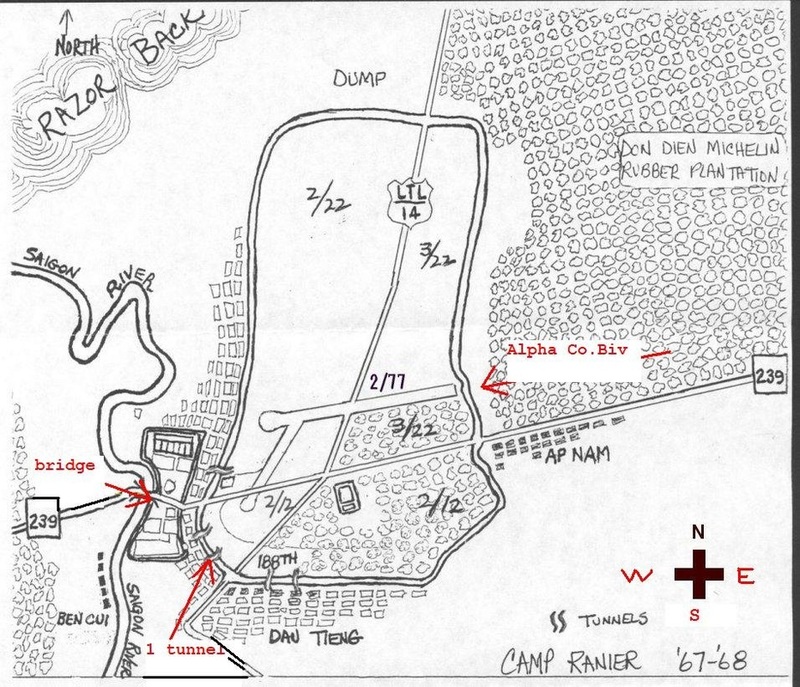 This is an annoted drawing of the DT base camp area. THE COMBAT MEDIC BADGE The Medical Corps insignia of branch, modified by the addition of a Greek cross suggesting the Geneva Convention between the wings and the entwined serpents, signifies the recipient's skills and expertise. It is superimposed upon a stretcher alluding to medical field service. The oak symbolizes steadfastness, strength and loyalty. Awarded to members of the Army Medical Department, Naval Medical Department, Air Force Medical Service or Special Forces Medical Sergeant who are in the grade of Colonel or below while assigned or attached to a medical unit of company or smaller size organic to an infantry/special forces unit during any period the unit was engaged in active ground combat subsequent to 6 December 1941. Only one award is authorized for service in Vietnam, Laos, the Dominican Republic, Korea (subsequent to 4 January 1969), El Salvador, Grenada, Panama, Southwest Asia and Somalia, regardless of whether an individual has served in one or more of these areas. Specific eligibility requirements by geographic area are listed in Army Regulation 600-8-22. The Combat Medical Badge was approved on 29 January 1945. In February 1951, the proposal to designate the badge as a one-time award was rescinded and it was approved for subsequent award during specified periods. The addition of stars to indicate subsequent awards was also approved. 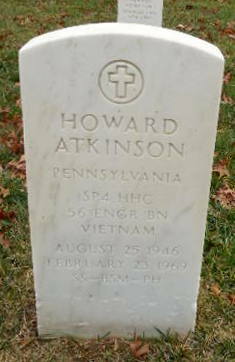 Howard Atkinson: person, pictures and information - Fold3 Photo and Bio of Medic Howard T. Atkinson, Silver Star (posthumously),HHC 65th Eng. Bn.